Guardian Gear All-Weather dog boots offer protection from abrasive surfaces, ice, salt, stones, hot asphalt, and pavement. These all-polyester dog boots are breathable and water repellent. 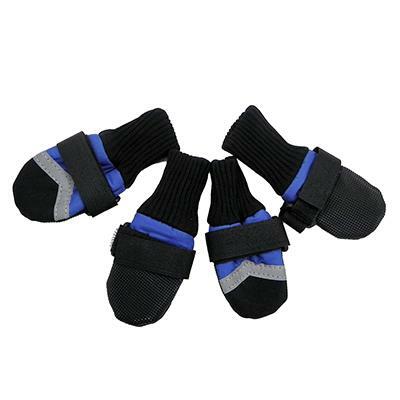 Velcro® closures and stretchy fabric cuffs provide a secure fit. Protect paws from the elements. Water-resistant fabric with non-ski soles. Reflective strips enhance safety and heighten visibility. Have your dog stand and place its paw on a piece of paper. Mark the paper where the front edge of small pads and the back edge of the large pads touch (do not include nails). 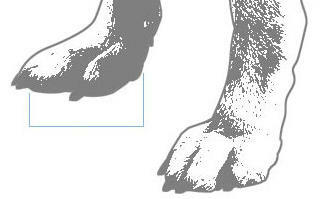 Use the measurement between the two marks to determine the correct size of boot for your dog.